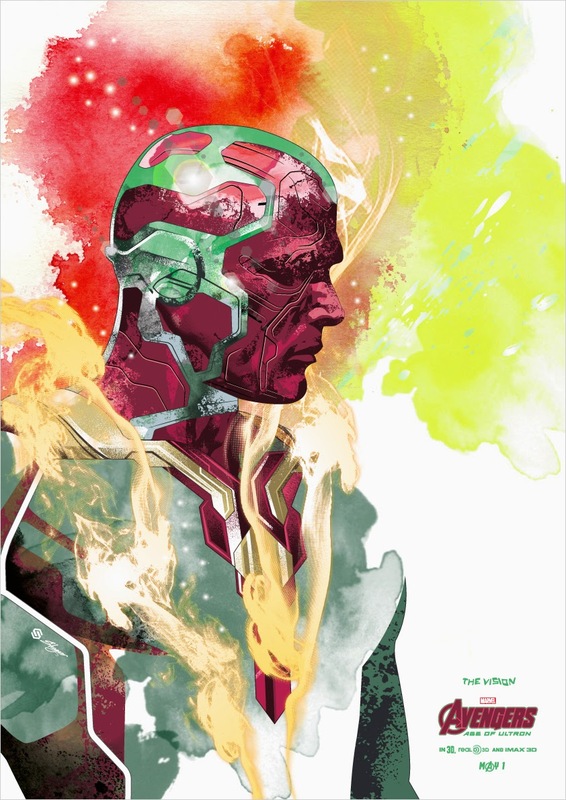 Guy Stauber combined traditional and digital techniques to create these stoic yet exciting posters of The Vision from the Avengers. The Vision is "... every inch a human being - except that all his bodily organs are constructed of synthetic materials", neither simply man nor simply human The Vision proves to be the perfect character to be the subject of a mixed media creation. Read what Guy thinks about The Avenger here! Check out more from Guy Stauber here! 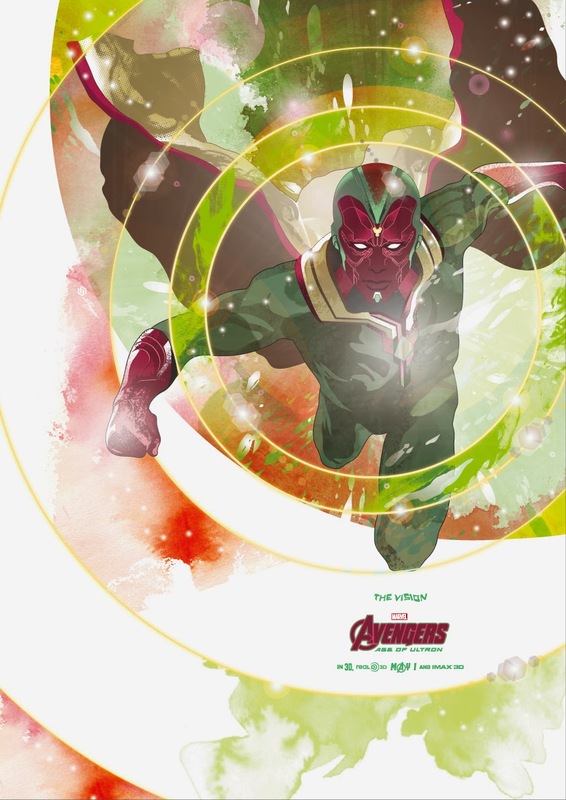 Check out The Avengers Age of Ultron trailer!